One of our wildlife initiatives is the BIG15, and the only way to absorb its soul is by having rewarding Galapagos tours itineraries that let you gradually discover its wondrous encounters. 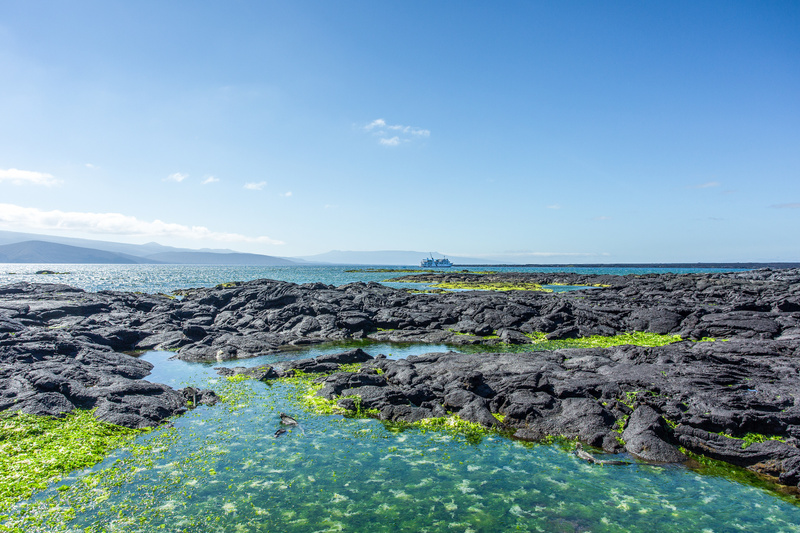 If Charles Darwin could have chosen an itinerary back in 1835, he probably would have looked at our Central & Southern combined itinerary; an 8-night voyage full of discoveries that you can choose, while other options are available too such as the Northern Galapagos itinerary. 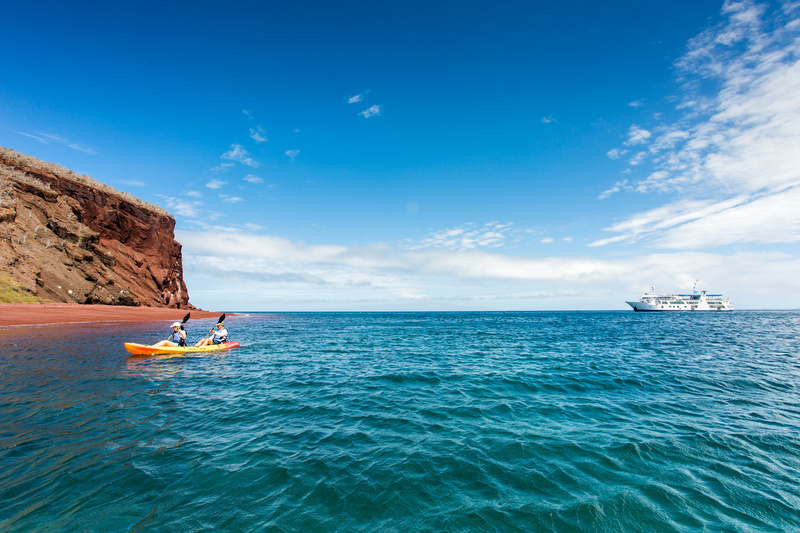 A variety of rewarding itineraries, all great, and all inspiring will let you connect smoothly with the islands and their wildlife. If pitch and roll is your concern, no problem…that is why expedition vessels were conceived, and if you are still thinking about it, we’ve got you covered. ¡Explore the archipelago now! What is Big 15? 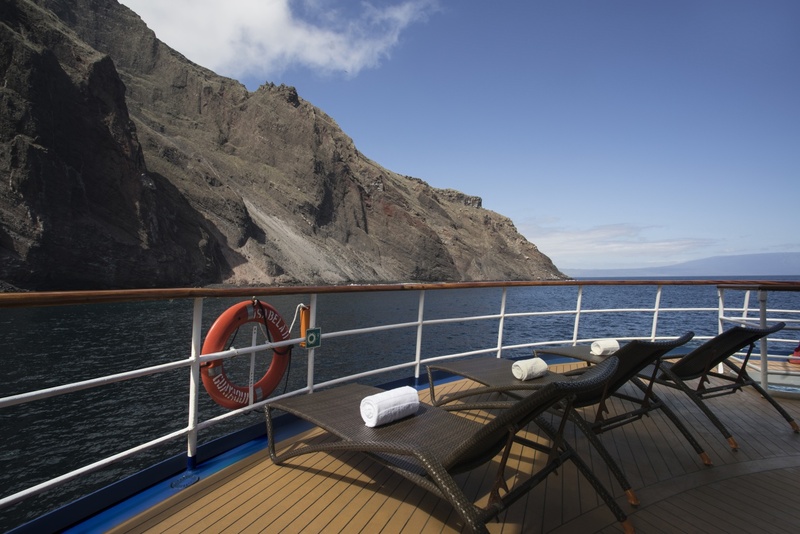 The 15 most iconic species you will see on the Galapagos Islands aboard Yacht Isabela II! 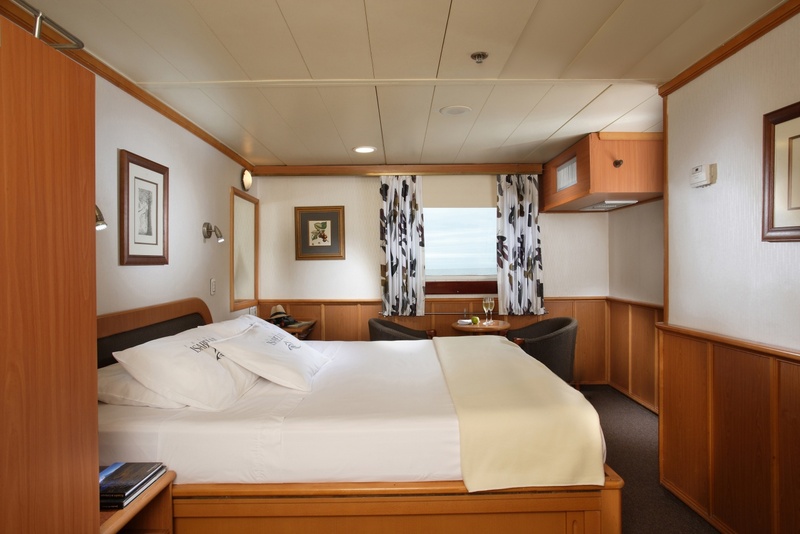 Check out Yacht Isabela II’s ship, cabins, social areas photos! Guest Capacity: Yacht Isabela II was built with the philosophy of providing intimate contact with the islands. 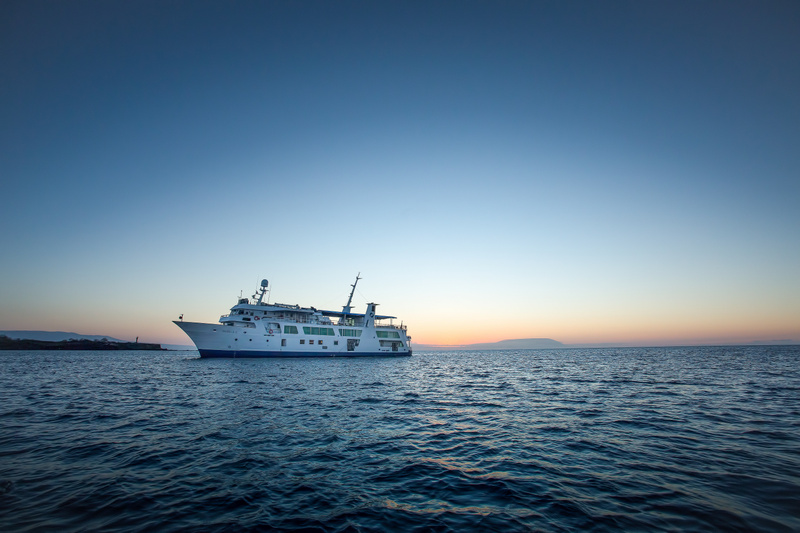 Following the success of expedition ships at other destinations, the vessel has 21 cabins accommodating just 40 guests. 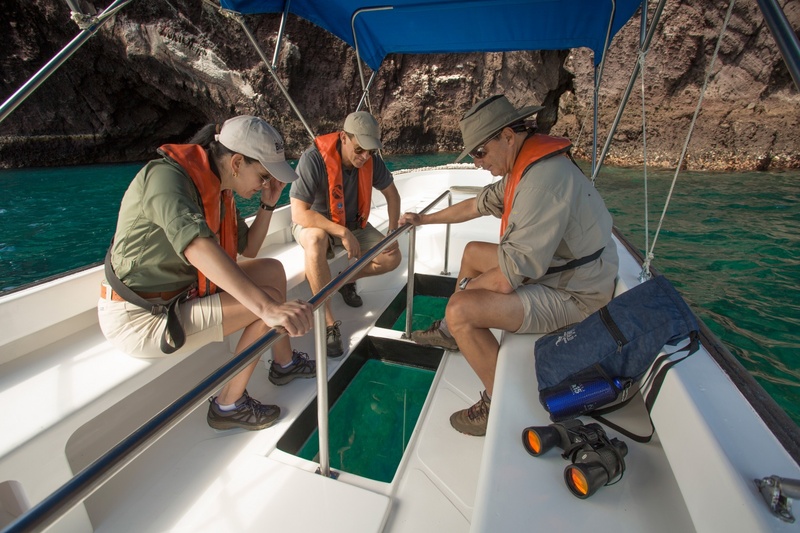 Her design allows fellow explorers to easily bond and share plenty of their Galapagos tours travel experiences. 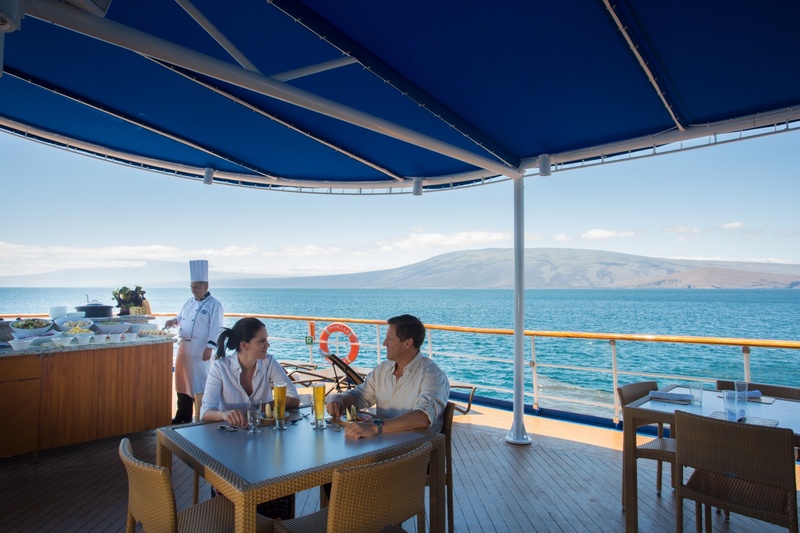 An ample bar salon, dining room, al fresco lounge, and exploration boats invite guests to never feel rushed, but rather inspired by the friendly ambiance both ashore and on board. 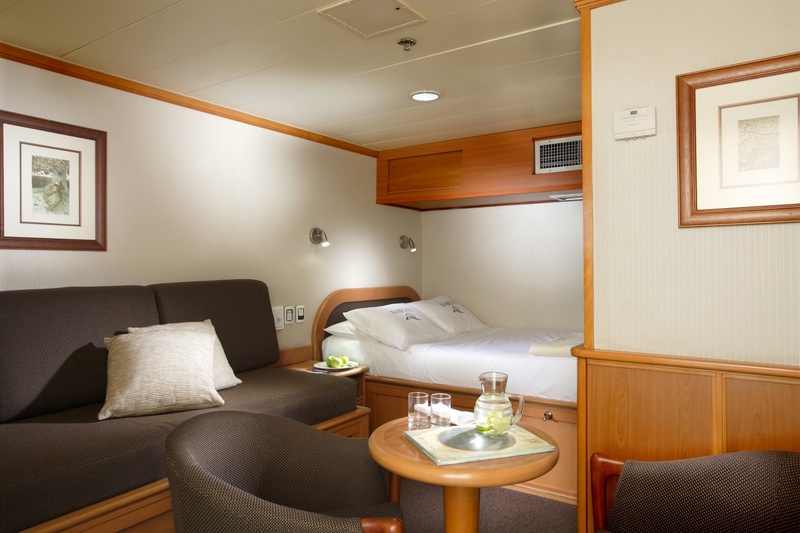 Design: All state rooms, except for the Owner’s Cabin, have been carefully planned on the mid level of the vessel providing guests with easy access to all other decks. 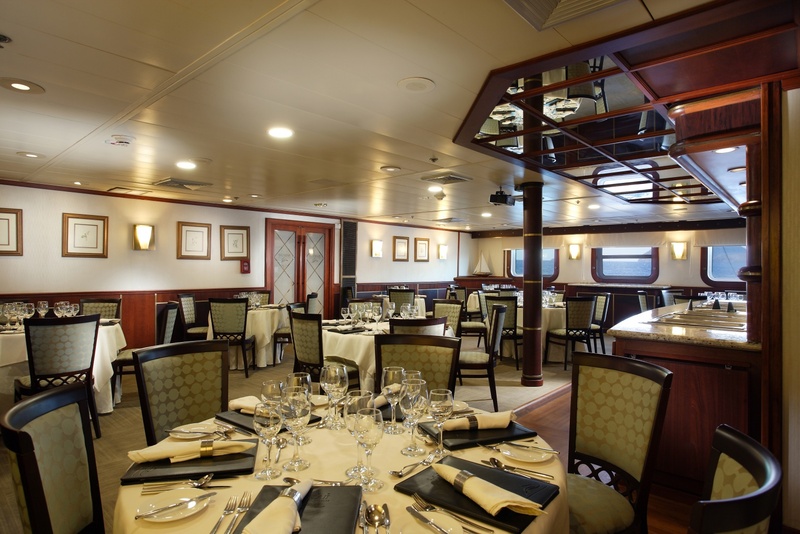 The Owner’s Cabin, the largest cabin on board, is strategically located right on the main deck where all social events take place, as well as our disembarkation gangways. On the top deck a well-appointed sky lounge, Jacuzzi, fitness room, and wheel house entertain guests throughout their onboard experience. The Crew: Our faithful staff members have been with us for many years. Not only they understand well your needs, but know exactly how to put together a call-to-action expedition outing. An essential gem of our crew is our expedition staff. Led by an Expedition Manager, our staff daily learns next to you the uniqueness of the islands by immersing themselves too in exploring deeper. It is not uncommon to find our Naturalists amazed about a new sighting, a new fish, a new sunset, a new starry sky. 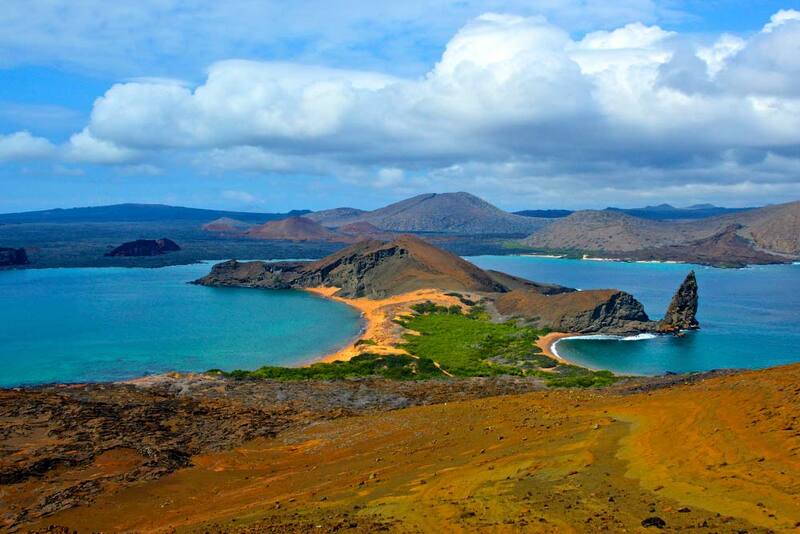 Educational Experience: If we combine all the variables and components of our Galapagos Tours, then the achieved understanding of the islands is not only fun and inspirational, but highly educational and creates value for every explorer. We maximize all opportunities such as wildlife encounters, weather events, unusual sightings, and more. Our Naturalists have created a wonderful lecture series which allow explorers to absorb the islands at a higher level, to take in a little more, to go from basic to advanced! A favorite place to learn is the wheelhouse, where our Captain and Officers will show you how a vessel gently takes the waves at these latitudes. During clear nights, the show continues with our stargazing events on the top deck. Here we learn about mythological creatures drawn up in the sky, or locating planets, and possibly the sighting of a meteor. This is surely an enriching, fun, and educational adventure. A vacation like no other. 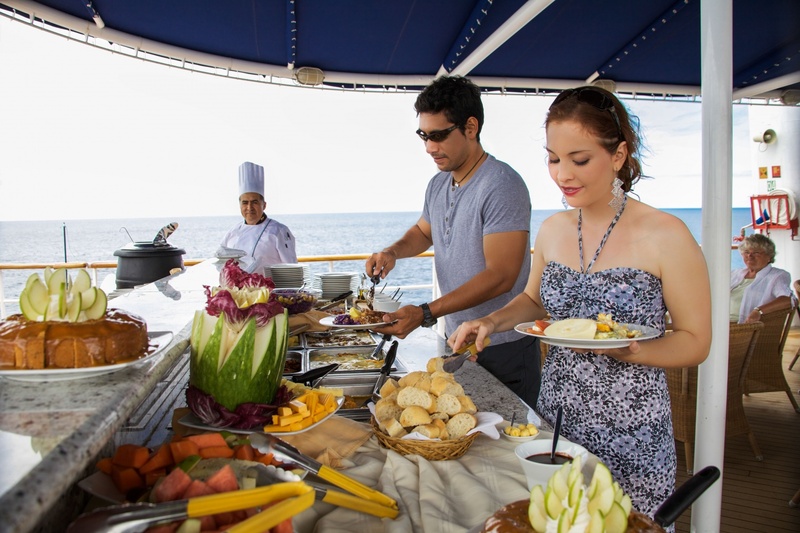 What do our guests think about cruising aboard Yacht Isabela II? Check it out! Truly a life time experienceFlawless crew & guides!Wonderful! Truly a lifetime experience to be on board cruise ship touring most of the islands to see the big 15. The cuisine on board Isabella was great too. Being foodies, we were not expecting much and so were very pleasantly surprised that we enjoyed all the meals. Lunches served were especially sumptuous and delightful as we could enjoy the views while dining on the best. 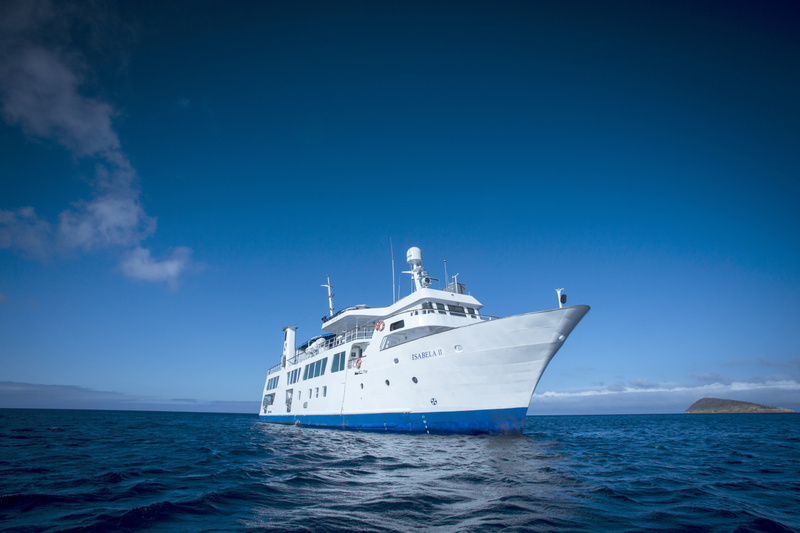 We just returned from a 5D-4N Central Island tour on the Isabela II (chosen for its mid-size at just 20 cabins). We simply could not have had a better time. All aspects of the excursion were handled flawlessly by the crew and guides. 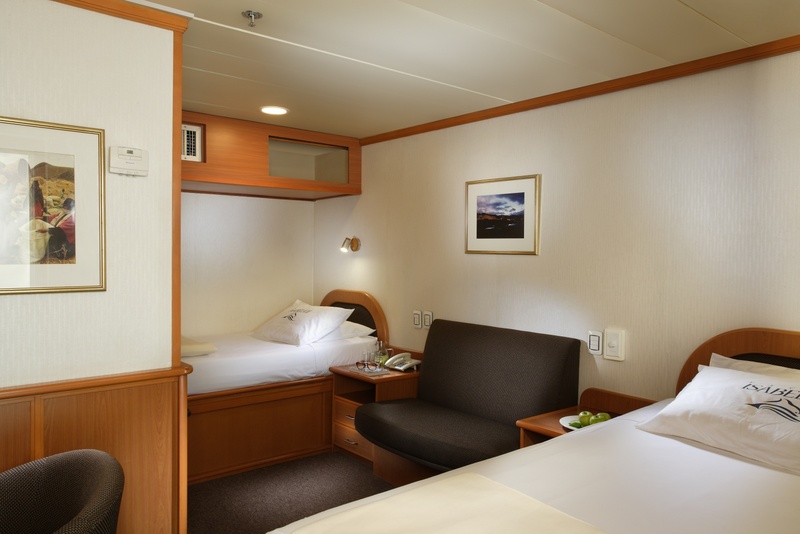 The cabins were immaculate and comfortable, the food was delcious with plenty of choices for all tastes, the pacing of the excursions allowed plenty of time to enjoy them while also providing just enough down time. We had three naturalists (Dennis, Chris and Nancy) who were exceptional. They shared their vast knowledge and provided many insights during our tours.